North-East of England have seen instability and failures in recent past. They were fired down to ashes and evolved from almost against the tide. Now they have a reason to smile, shout and beot. 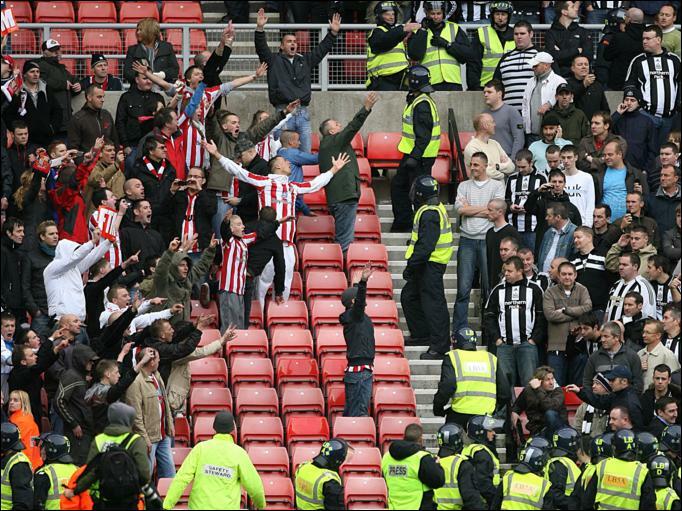 They have a reason to cherish the Tyne-Wear derby. Pride, passion, blood, vitriol ai??i?? all the elements of this derby will be in abundance on Sundayai??i?? added to it a mantra of ai???rejuvenationai??i?? infused by two men who are guiding a wrecked ship to the cape of Good-Hope. This Tyne-Wear journey is something special. It follows a pattern of divergence and convergence, taking cue from pages of literature, and the architects of this ai?? ?road to recoveryai??i?? are two mere mortals who just gave a fresh new life to a morbid, desolate teams in an otherwise one of the most fascinating derbies of English football. The journey was perilous. No body, even the die-hard supporters expected this to happen. Newcastle United should have been fighting a relegation battle by now, if the Punditai??i? ?s predictions are taken seriously, as though from the Bible. Heavy weight names from the club were sold. The bloated squad needed to be pruned. In came few unknown faces from faraway lands. Transactions such as those cause consternation among the fans. Thereby building a squad was secondary; winning the heart of fans was Alan Pardewai??i? ?s most onerous tasks. Pardew went back to the basics, employing simple and old-school system of 4-4-2. From a probable flame of mutiny and smattering of boos, he steadied the ship, the lurch in the fresh direction impressing. He had to perform his own cull, ensuring a carte-blanche. The players responded. The rest is a fairy tale journey. Quality players definitely have improved their game style, the likes of Tiote, Cabaye or Demba Ba, but above all itai??i? ?s the ai???toon-spiritai??i?? that defied every obstacle. Reaching the top half of the table was the primary target. The Toons are now chasing Europe. In retrospection, was that 1-0 victory at the Stadium of Lights early this season gave a new spark and life in their journey so far? It is more than just a game of football! This fixture therefore acts as a fulcrum in turning the strokes of fortune for the brave. It is not just a game of getting three-pointer. It is a game that drives you for higher achievements. Winning the derby is always a massive boost. That fixture turned the tide of two clubs in opposite ways. Steve Bruce has taken the club to the level where he couldnai??i? ?t deliver more. Sunderland were sinking without truce and all the money looked to have been frittered away. While the Tyne side took pride in victory and progressed, the Wear side seemed to have lost their focus. Fortunately, they got a savior. Facing a prospect of relegation, who would have wanted a drink from the poisoned chalice? Even the great Brian Clough would blanch at such a task. From the ashes, re-birth was still possible. Martin Oai??i? ?Neill with vim and vigour restored pride, passion and discipline amongst his new pupils. Another miracle, where gems, stones, rituals were absent. Itai??i? ?s simple really ai??i?? get back to your basics. Sunderland stepped up their gear and now they are in top ten. More than the point table, they are a now team in the upsurge. Last week defeat to West Brom can be easily considered as just a bad day in the office. Sunderland can enter the Sports Direct Arena with head held high and belief unshaken. Certainly the Irish man has the experience under his belt to handle a big match. He won 16 Old firm derbies with Celtic. Under his guidance Aston Villa defeated Birmingham four times. But this is a new game. New fixture. New Derby. Passion and pride the common denominator. The confidence a team will draw from a positive result here is immense. Likewise, defeat can be devastating. Who better knows than Sunderland ex-manager Steve Bruce? The 5-1 ai?? ?Halloween Horror Showai??i?? at the St. James Park had a detrimental effect for him and the club. The Wearside finished 10th but the confidence was gone. Another aspect that adds glory to North-East rivalry is that it is the hotbed of football culture. Tyne-side is not known for other major sports, likewise the Wear-side. Hence, everything is centered about the game of football. Pride, passion will be at stake on Sunday afternoon but more than anything else, North-East of England will embrace Pardew & Oai??i? ?Neill for giving their clubs back, giving an air of optimism, a reason to celebrate this grand occasion. Have you ever seen a Phoenix bird?